Classic pintail shape. 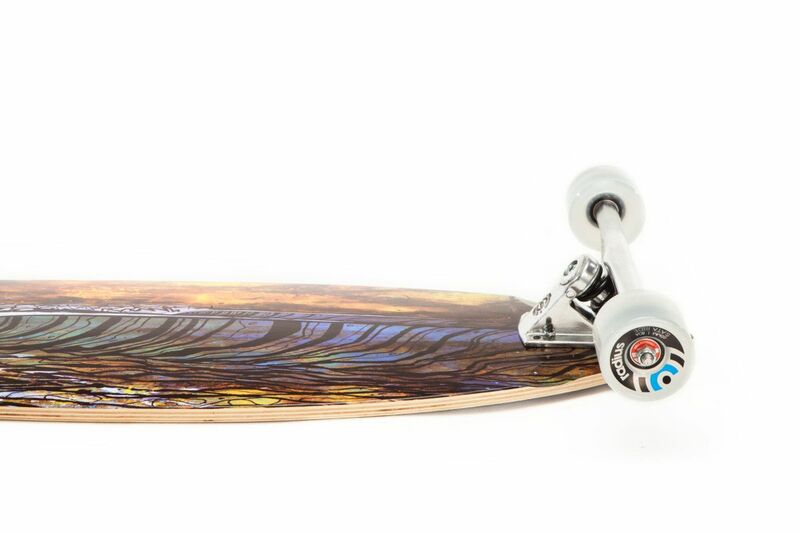 True pintail performance. 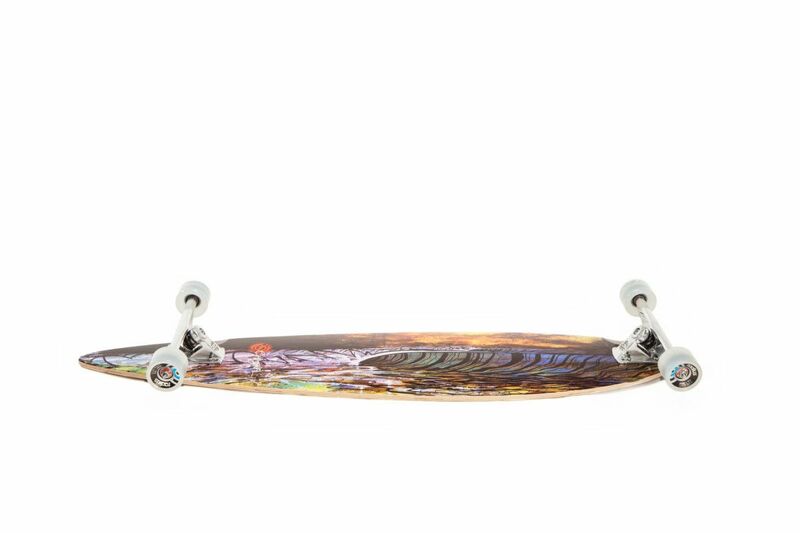 Ousting the former big boy of the Original lineup, the Pintail 46 comes in 2 inches longer then the Custom 44. Designed on the classic Pintail shape and featuring art by our friend and artist, Joe Hodnicki, the 46 boosts big hill performance by combining the widest Original trucks and a stiff 9 ply deck for an uber-stable ride. 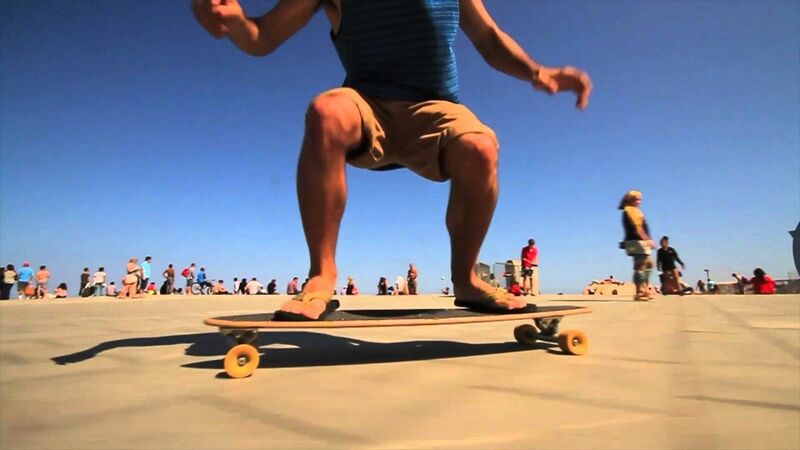 The result is a longboard designed for hills or mellow flatland carves. Just make sure your ready when you step into the ring, the Pintail 46 goes in swinging. 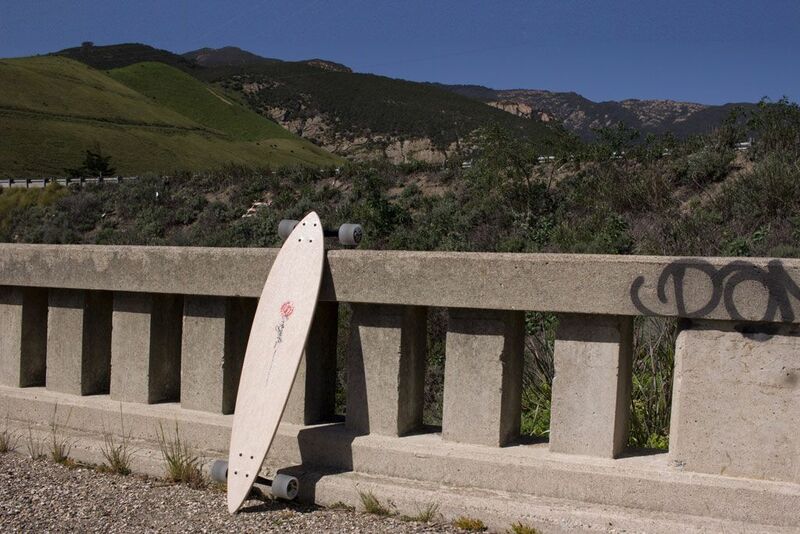 Wide, long, and low is the name of the game for the Pintail 46. Designed for stronger riders looking for a stable ride, the Pintail 46 is a powerful performer that keeps its cool at higher speeds and on the steeps. The Pintail 46 is dropped down, mounted without a riser, keeping this cruiser as low to the ground as possible. Lower center of gravity means more stability. More stability means you’ll ride through the crux of the run instead of pitching off at higher speeds. A larger wheel base requires that the Pintail 46 utilize a full 9 plys of hard maple for deck construction. 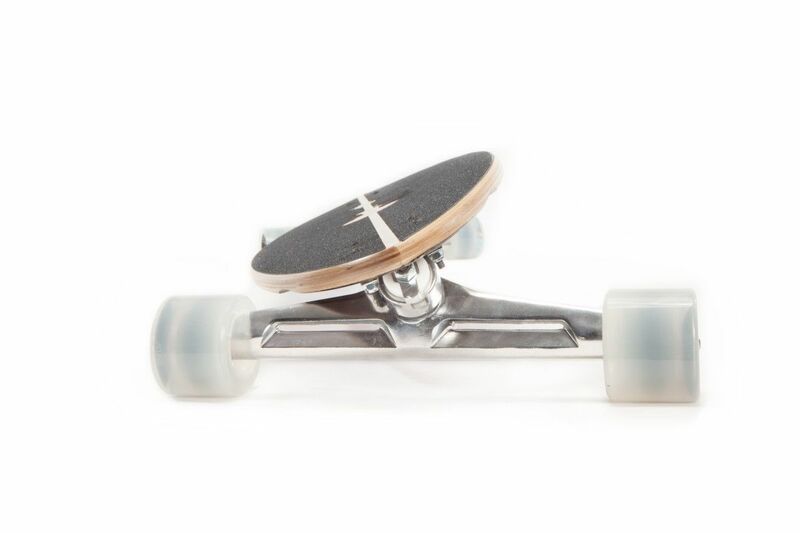 Though this adds some weight, the stiffness it gives the deck will be a pleasure for larger riders or for those who require the stability those 9 plys provide. Don’t worry, Mother Nature won’t mind. Each one of those plys are sustainably harvested, as are all of our other veneers at Original. 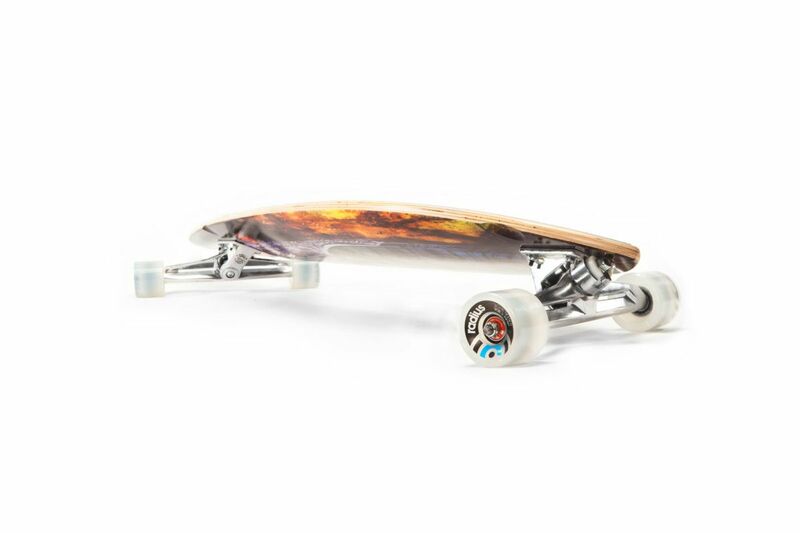 Wondering Which Pintail Lonboard to Buy? Just like you wouldn't buy clothes that are too big or small, the same applies to your ride size. We want you to be comfy, cozy. The main factors to consider are: weight, height, and ride style. This gentle giant has more leg room then the back seat of a Cadillac. 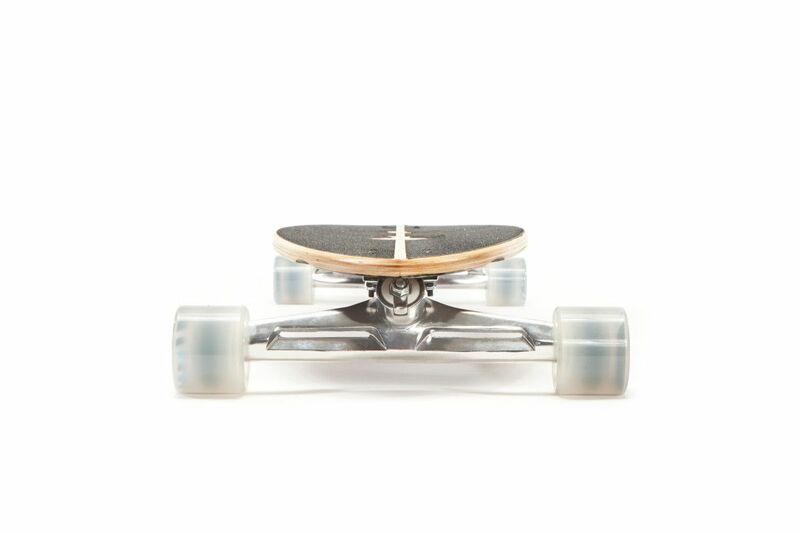 Plus the added stability from the wider trucks and stiffer deck make it a perfect candidate for walking up and down the length of the board. 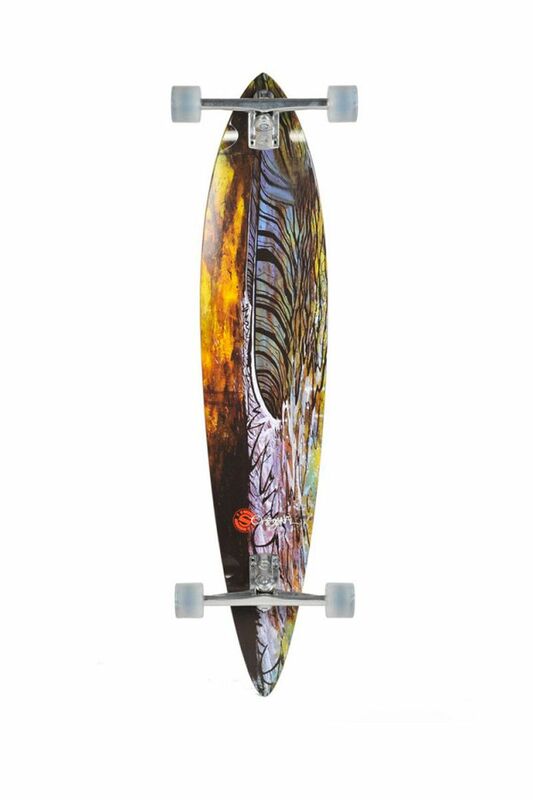 Grab you date, grab the Pintail 46, and get out on the floor. It rides big and it rides powerful when you need it to step up and carry you through a tight squeeze. It lives a mellow life on the flats where it seconds as a dancer and beach cruiser. 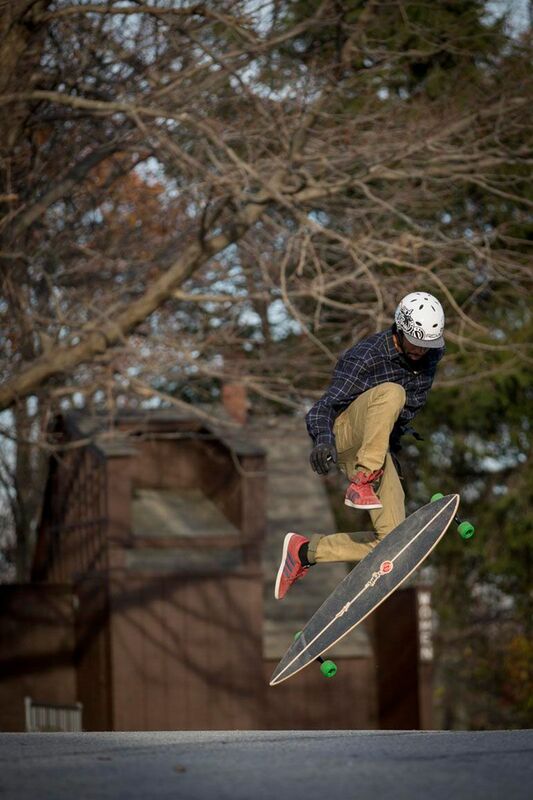 In the end, the Pintail 46 is a Jack of all trades.